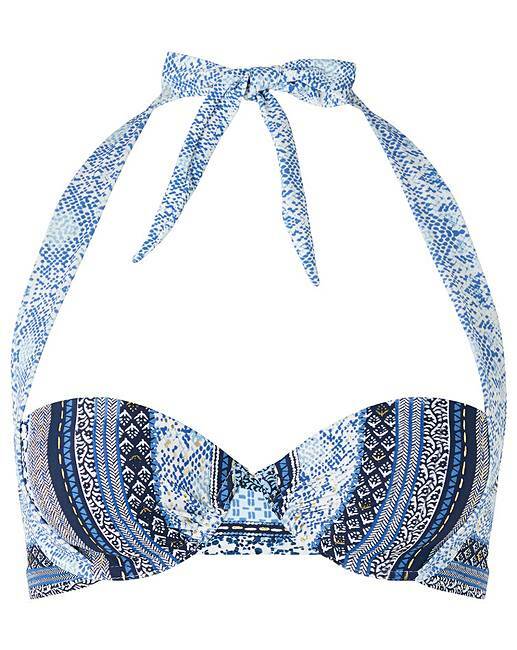 Our Micah bikini top puts the glamour in your getaway with its shimmering foil print. This design features underwires and moulded cups, as well as supportive halter straps. Matching bottoms available.